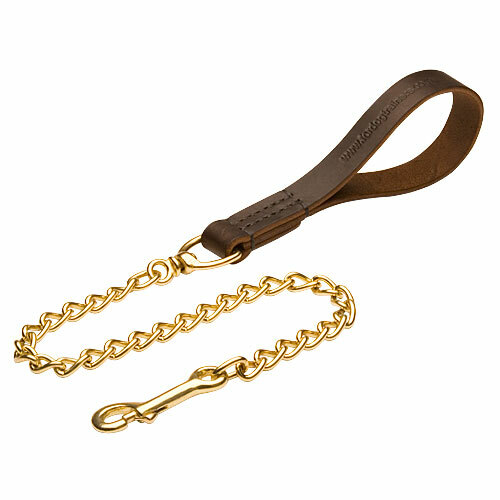 Dog chain lead made of brass chain with soft leather handle. 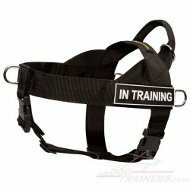 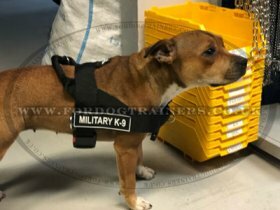 Strong brass snap hook for active dog training and walking. 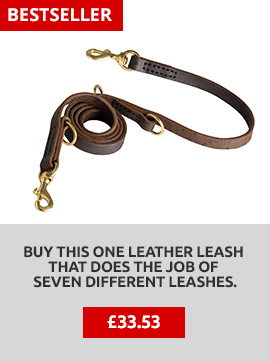 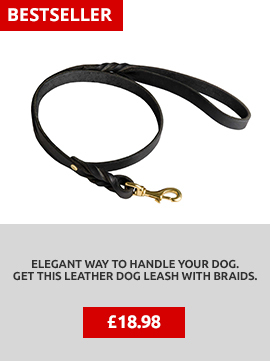 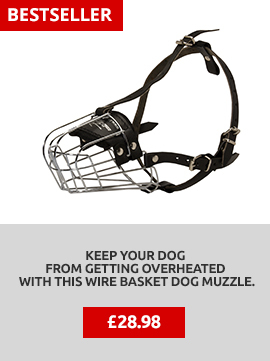 This Dog Chain Lead is a luxury dog equipment for fashionable dogs. 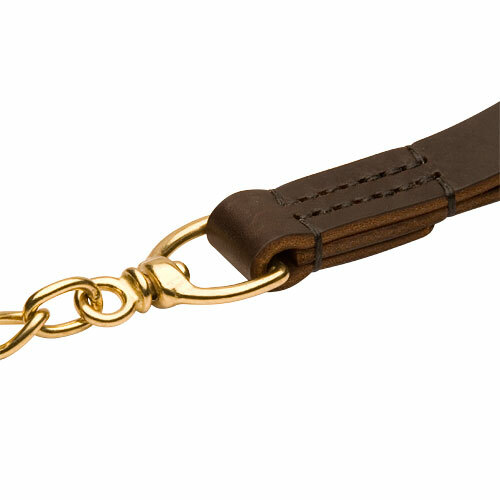 Dog Chain Lead combines comfort, strength, elegance for bright moments with your dog.